Apart from royal charm, adventure awaits you in the glorious city of Jaipur. Get ready for an adrenaline rush with some interesting adventure activities in this city! Indulge in hot air balloon ride for a mesmerizing experience that you will cherish for long. Flying over the astonishing palaces and forts, capturing a bird’s eye view of the city, enjoying beautiful sights of the landscape is an adventurous experience in itself. Whether you are an adult or a kid, you would love this ride. Capture those magical moments in your camera to cherish even later. 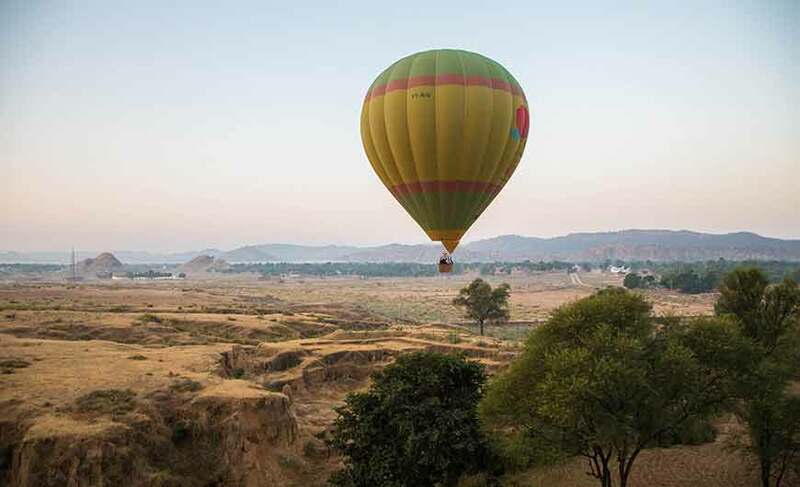 Absorb the sounds and sights, enjoy views of Rajasthani villages, smile at the people waving at you as you rise high up in the air, there is so much you will experience through the hot air balloon ride. The ride is usually organized early morning or early evening as during this period the winds are quite favorable. It usually starts from the area near the majestic Amber Fort and lasts for about an hour. You can enjoy the ride together with your family or friends as in a single ride around 4 to 8 fliers are flown. 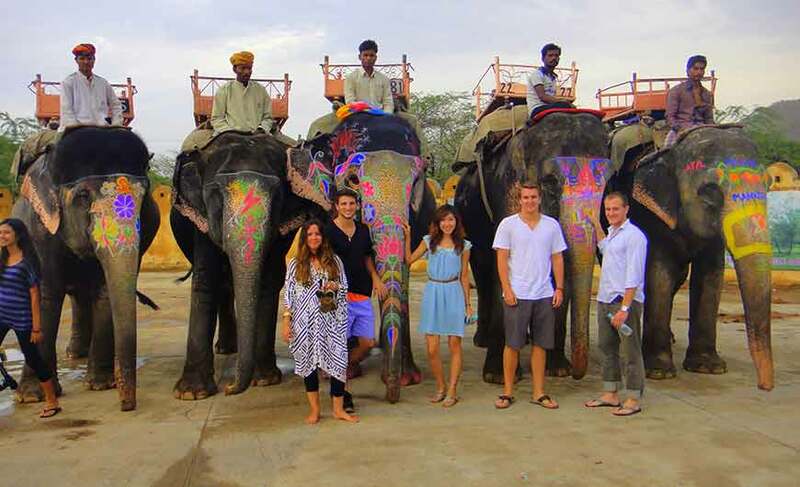 Elephant is deeply connected with the culture and history of Jaipur. When you are in this Pink City, spending some time with elephants will adorn your day with adventure and golden memories. Know about them, get acquainted with their psychology, play with them in the gorgeous green environment as if you are meeting them in their natural habitat and enjoy a ride. Say hello to Basanti, whose warm smile will win your heart, Shabbo, who is as energetic as a child or Farah with innocent eyes that will make you feel compassionate. 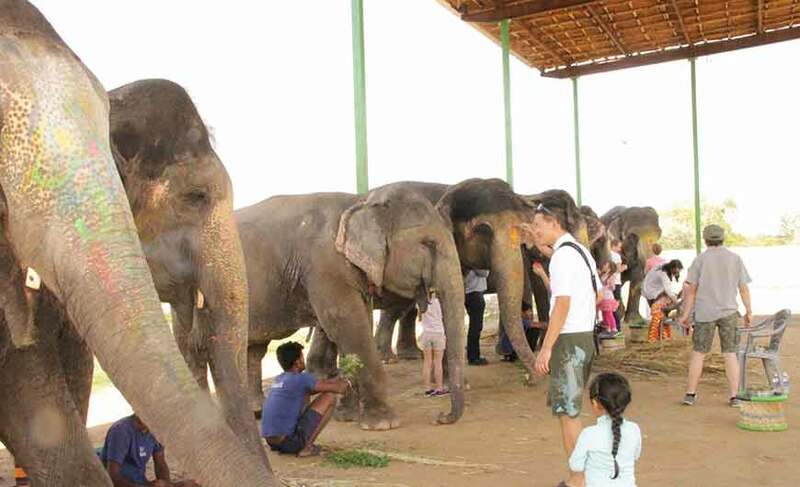 You will be introduced to the elephants and as they smell you and get comfortable you can try stroking them. Learn the basics of the language through which the elephants communicate. Feed them to gain their trust and at the same time learn about their taste in food. 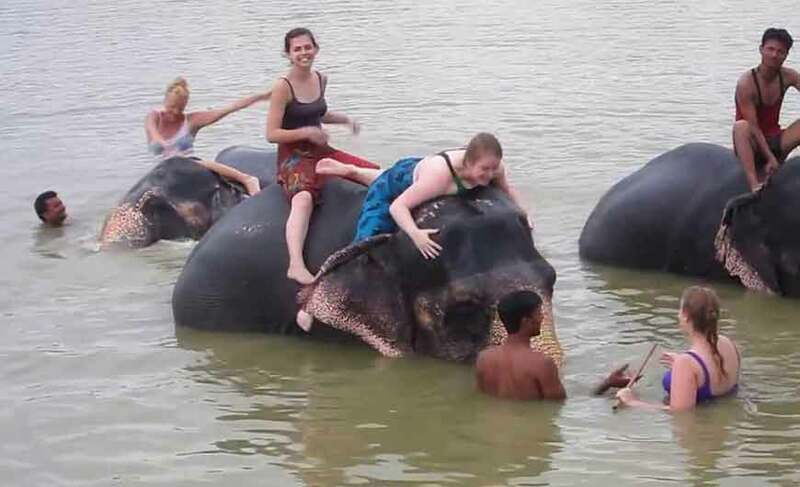 Know how the natural paint is used to make traditional painting on the thick skin of elephants and enjoy an elephant ride without a saddle for a closer experience. There is so much to enjoy and learn when you spend a day with elephants. Thereafter, drive back to Delhi, and transfer to your hotel/ airport.